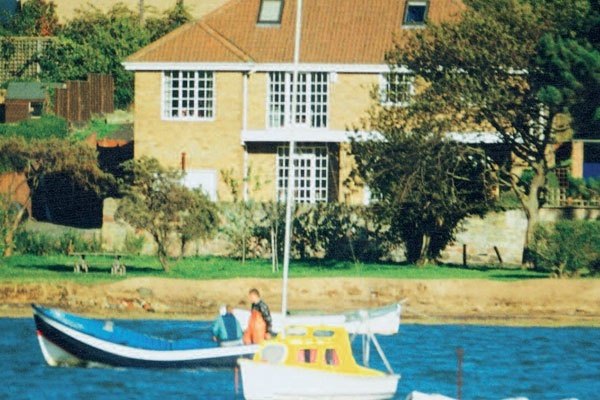 Janice invites you to stay in her spacious recently refurbished home situated by the water's edge of the beautiful Aln Estuary. Combining superior accommodation with superb value. Our dining room and first floor guest lounge with balcony have panoramic views of the estuary and surrounding countryside. All bedrooms are en suite with hospitality trays, colour TV and fully centrally heated. Three bedrooms are ground floor. We have a wide front door and wheelchair ramp. A large choice of breakfasts include: continental, healthy options, as well as full hearty English breakfasts. Janice and her Chef son Paul are renowned for their traditional and imaginative gourmet cuisine, using fresh home grown produce and glorious desserts to spoil you. Low season bargain breaks and one night Winter prices available. Private parking. Several Alnwick District Council Hospitality Awards. Winner of Galloping Gourmet Award. Recommended in Eliz Gundrey's "Off the Beaten Track" "Guestaccom Good Room Guide" and "Nationwide Best B & B Guide". We were ten people, seven adults and three children (all family) and Janice could not do enough to accommodate us. All our rooms were clean, warm, comfortable and well equipped - the beds were soooo comfortable with good quality linen and towels. 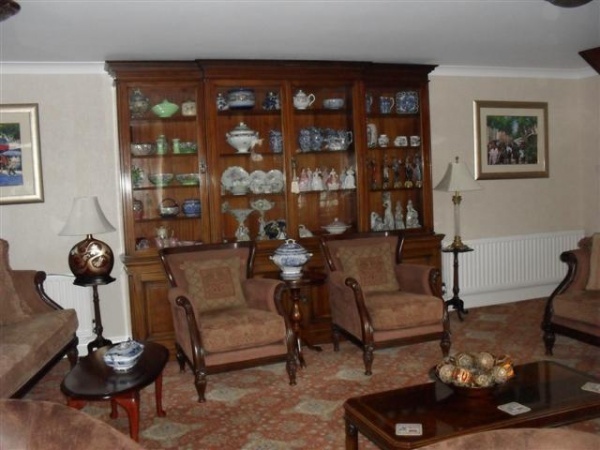 The residents' lounge is straight out of a country house hotel, classically comfortable and inviting. Just the sort of place to settle down with a book on a bad day., and with a lovely view of the river on a good day. Breakfast was whatever we wanted, all freshly cooked and delicious. and Janice's fruit compote is to die for! We are already planning to go back and we recommend it wholeheartedly. We stayed one night as an overnight stop. Excellent accommodation, very welcoming. 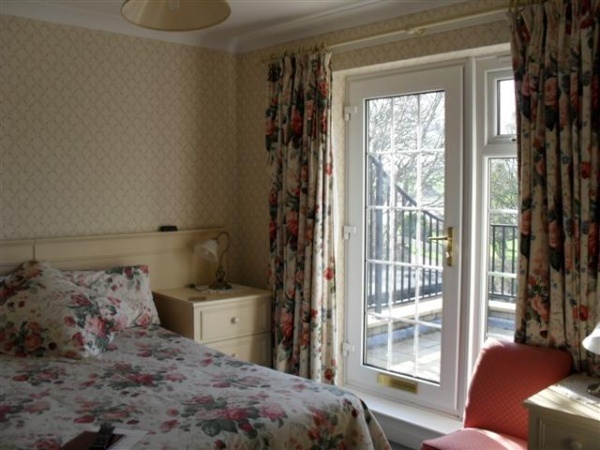 Room was very comfortable and well fitted out, with a lovely view over the river estuary. Janice, the owner, is very welcoming, with a good attention to detail. She wants to make sure your stay is comfortable and restful. Very good breakfast. Alnmouth is a lovely old village with lots of character, and a good choice of eateries. Ideally located for walking the Northumberland Coastal Path (it's literally on the route). There was 6 of us and we had 2 rooms that slept 3 each. Both rooms were comfortable and had what looked like freshly renovated bathrooms. The breakfast room had cakes, herbal teas, drinks and fresh milk available to guests all day, so this was a nice touch that you don't get everywhere. This was in addition to the tea/coffee making facilities in the rooms. The guesthouse has a great residents' lounge that looks like something out of Sherlock Holmes :-) It was a useful space to have a chat and relax if you are in a larger group. The owner Janice was very friendly and welcoming. Breakfast in the morning was fine, not exceptional but hit the spot. We found Westlea having booked The dreadful Schooner where we decided we simply could not stay! Paul was very helpful and we opted to take the room at the back of the house which was spacious and well furnished. The tea and coffee in the room were replenished daily, and the towels and linen good quality. The smoked salmon with scrambled egg at breakfast was delicious, as was the smoked fish which my husband had on a couple of occasions. Compared to the alternative, Westlea was a massive improvement and excellent for a B&B. The onsite parking was a real bonus. Overall we enjoyed our stay and Paul and Janice could not have done more for us.